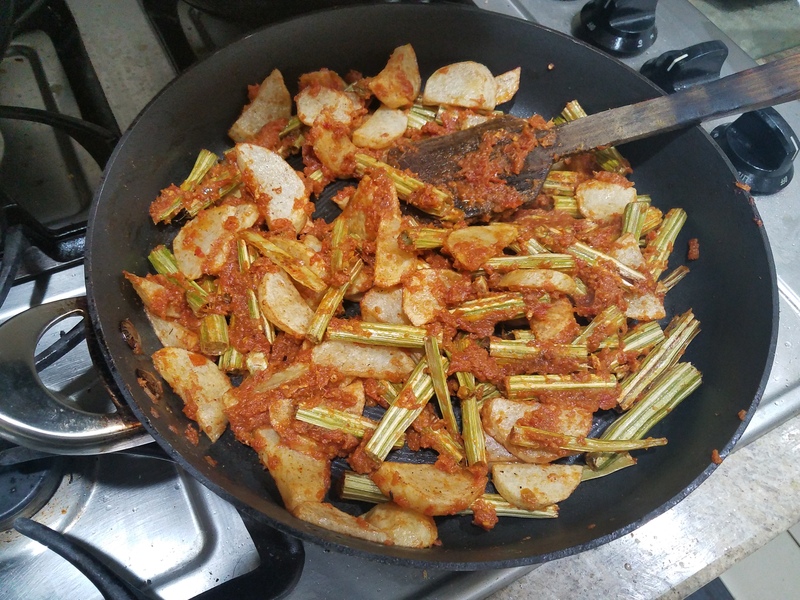 Meri bachpan ki favorite Sabzi….now a rare treat!! 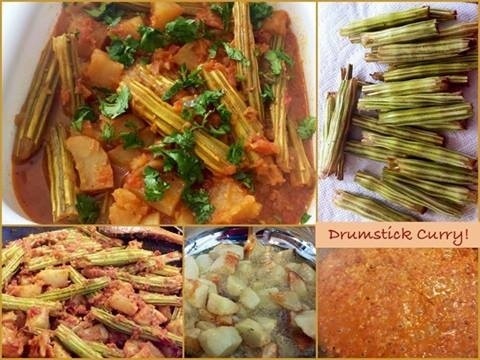 Drumsticks or ‘moongha’ as we called it back home, was my single most fav vegetable while growing up. 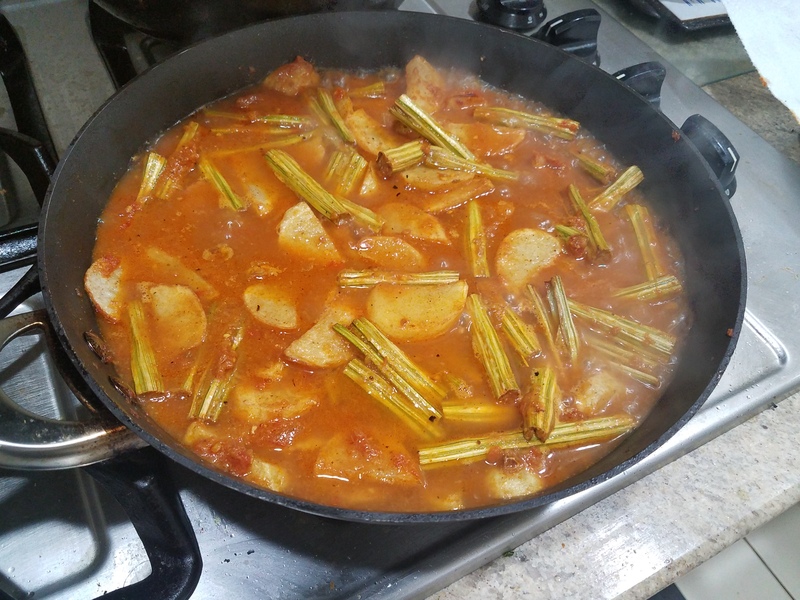 We had a drumstick tree in the garden behind our house, so had access to the most tender delicious drumsticks. 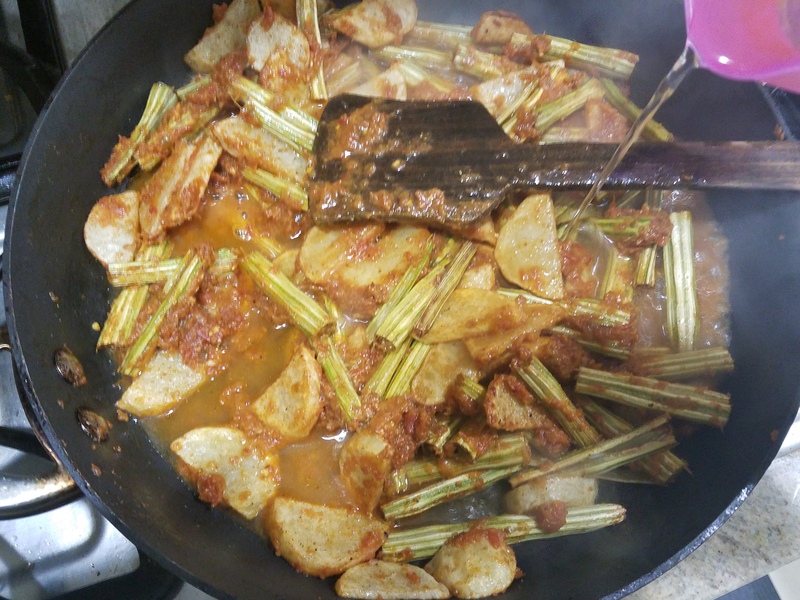 We even cooked the tender drumstick leaves into a delicious bhaji! Fast forwarding to NY……here we get fresh drumsticks once in a blue moon! However today was one of those lucky days….so I bought a big heapful, no matter that they cost $5.99/pound!! 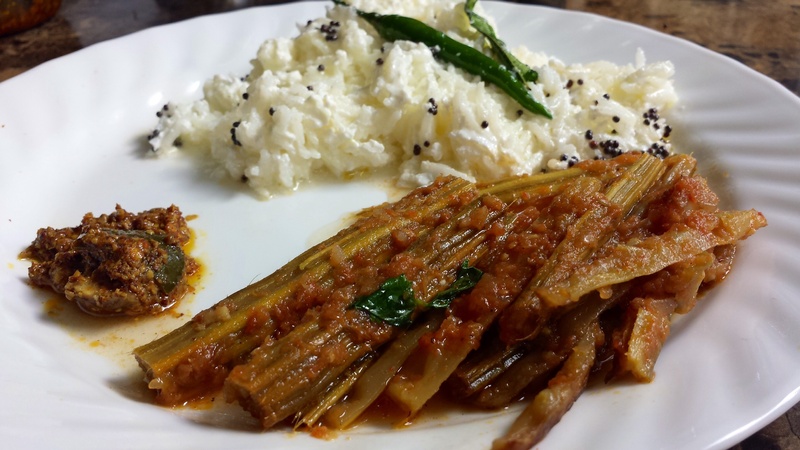 Here I share with you my mom-in-law’s recipe of cooking this vegetable which truly takes it to new heights. 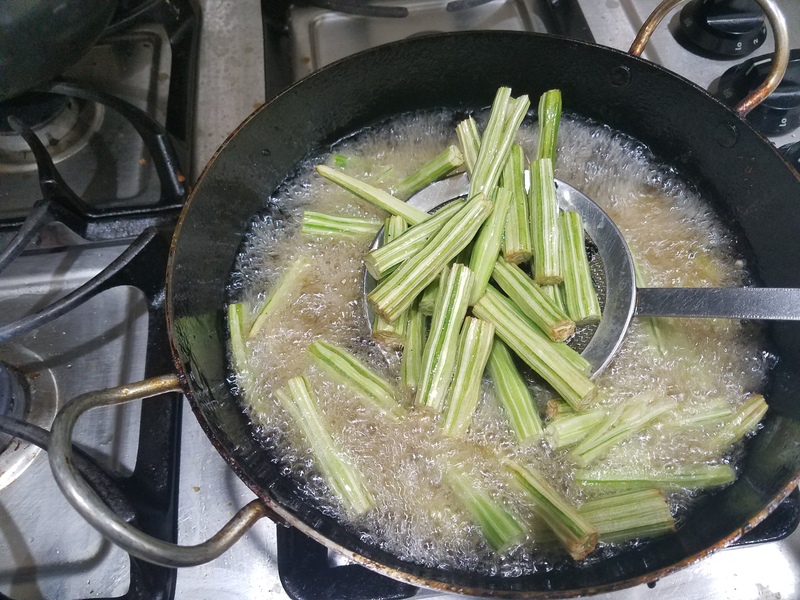 Cut drumsticks and peel away outer hard skin of drumsticks. 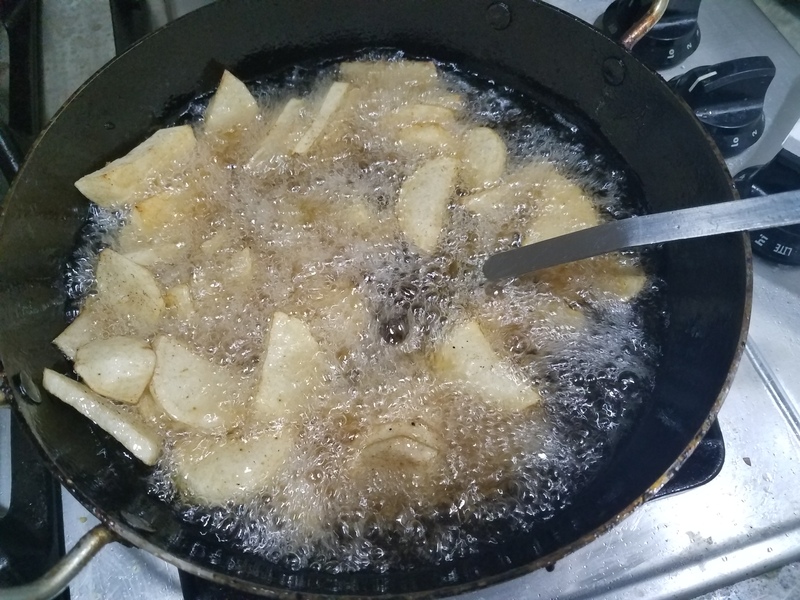 Peel and slice potatoes. 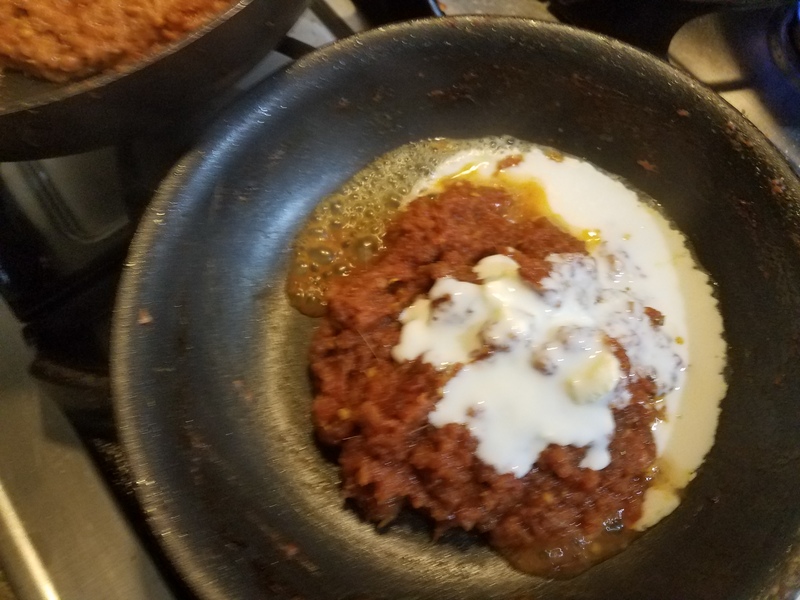 Heat oil, add jeera, ginger garlic paste and minced onions. Sauté till brown. Add crushed tomato, salt, haldi, red chilli pwdr, dhania pwdr, garam masala and cook till tomato leaves oil. Then add a couple of tbsp of yoghurt and cook for another 2-3 minutes. 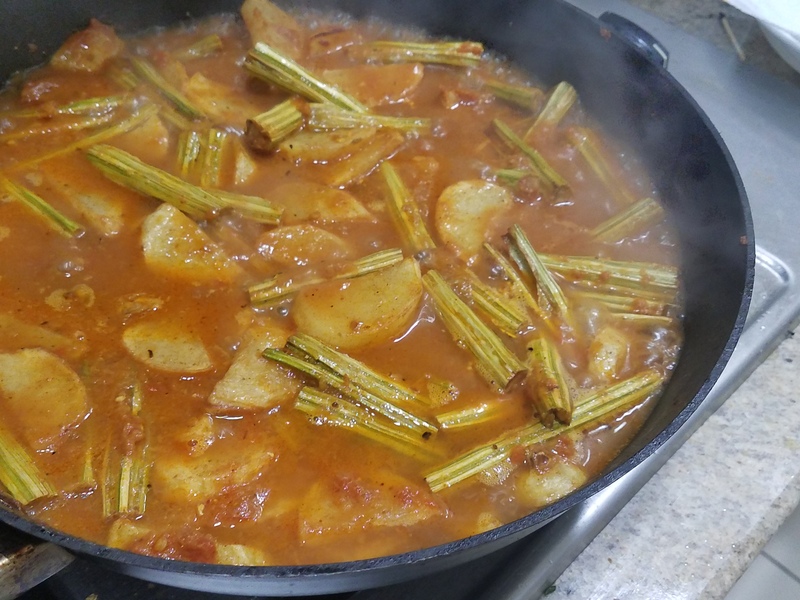 Add the drumsticks and potatoes and stir to coat with masala. Also add a little water to make a little gravy. Sprinkle with freshly chopped dhana and serve with Roti, Chawal and Dahi! 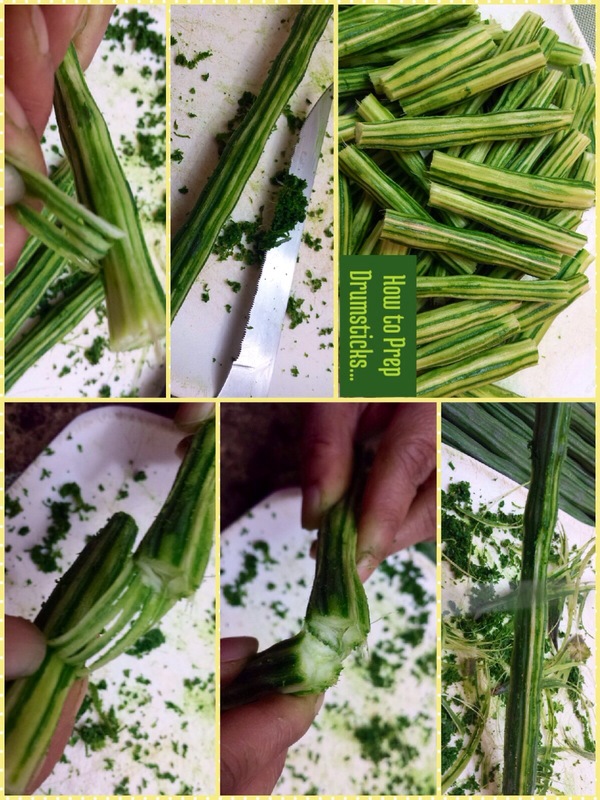 How to Prep Drumsticks: Also, very often I’ve been asked by the uninitiated on the correct way to prep drumsticks. 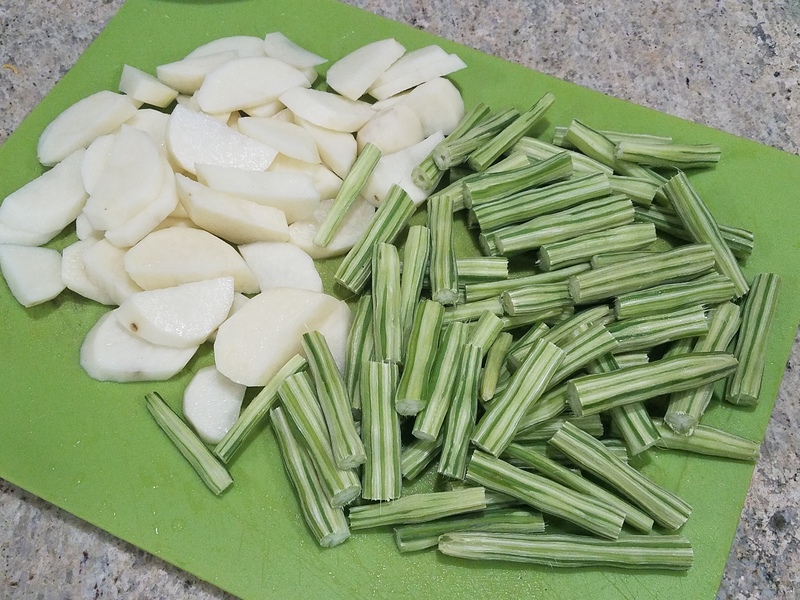 So I also clicked pics to demonstrate visually how I was taught to prep them…so that there is no trace of bitterness left!